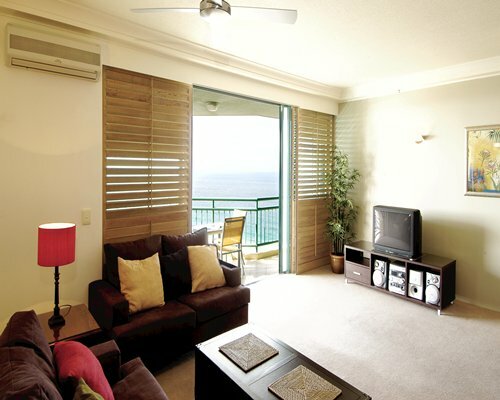 Mantra Crown Towers is located just 100m from Surfers Paradise beach. Enjoy some quality 'me' time at the Day Spa, or relax poolside by the tropical lagoon pool, while the kids have their own pool complete with its own sandy beach, waterslide and pirate ship. There are two great dining options on site - choose from the award wainning Chiang Mai Thai Restaurant or Regale Restaurant offering a la carte menu for breakfast, lunch and dinner, 7 days a week. The one bedroom apartments are the perfect home away from home offering modern and centrally located accommodation and great views of Surfers Paradise from your private balcony. The apartment features a queen bed, kitchen and dinning area, lounge area with Foxtel TV and pay per view movies along with laundry facilities. Mantra Crown Towers is located in Surfers Paradise on the Gold Coast, the entertainment playground famous for its world-class nightlife venues, international events and pumping atmosphere. The foreshore bustles with walkers, cyclists and skateboarders taking advantage of the beachfront boulevard vista overlooking the surf and sand. 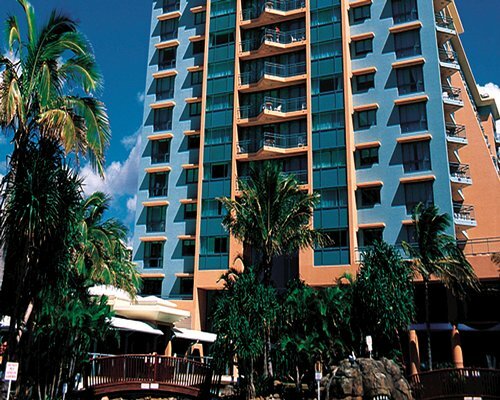 Surfers Paradise offers the complete holiday package from beachside shopping, dining, bars and clubs. Surfers Paradise hosts a great series of events annually – Surf Lifesaving competitions, Castrol Gold Coast 600 V8 Supercars and free artistic and cultural community events throughout the precinct, including the Surfers Paradise Beachfront Markets. From Coolangatta Airport travel north to Surfers Paradise turning right and back south onto Surfers Paradise Boulevard (at the Marriott Hotel). Travel south along Surfers Paradise Boulevard (Gold Coast Hwy) a couple of blocks and turn right into Palm Avenue. Painting may disturb guests from December 19, 2018 to May 31, 2019. Painting. Minimal disruption. Restricted access to balconies/recreational facilities sometimes.